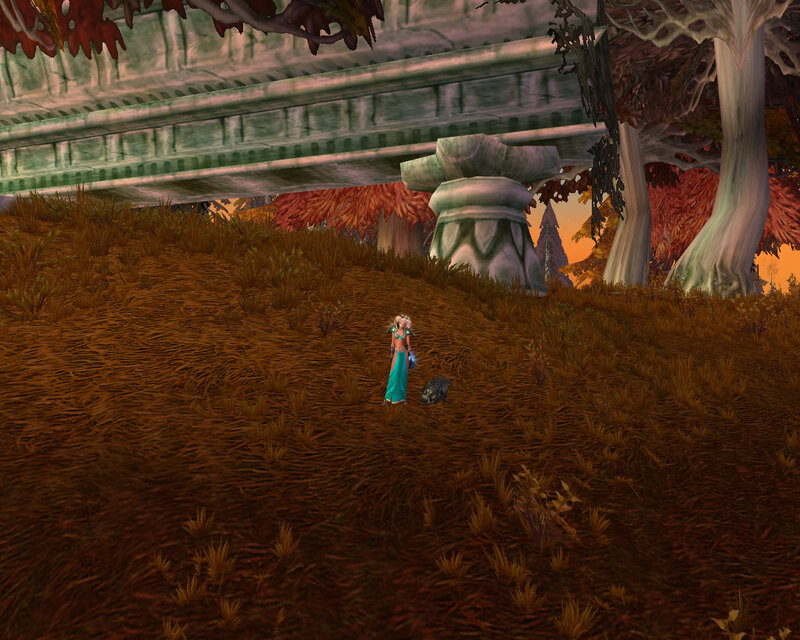 The Blog Azeroth shared topic this week revolves around fishing. I have to start this with a quick confession. Whilst in theory I love the idea of hanging out in some of Azeroth’s beauty spots catching fish, in practise I hate fishing. For the whole of classic WoW, I avoided hints subtle and otherwise that I might want to join the guild fishing parties for stoneskin eels. 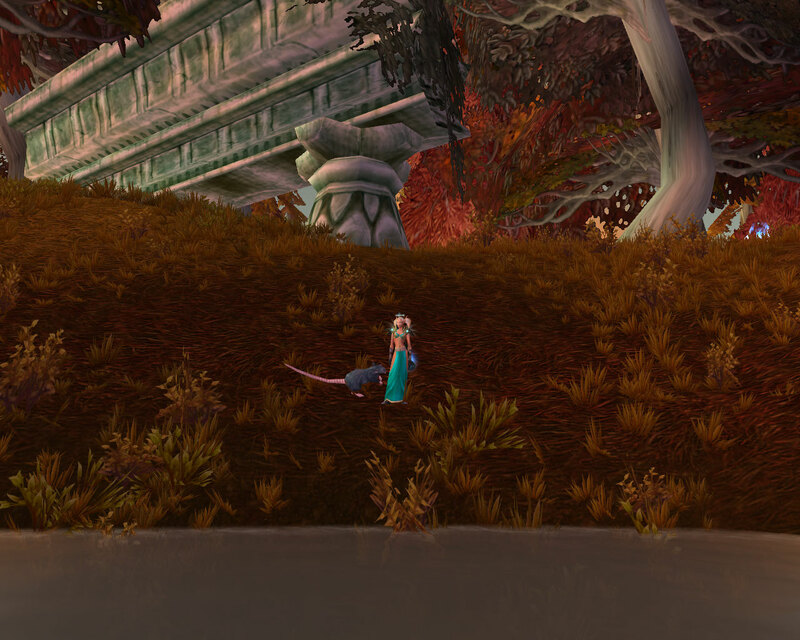 In fact it was only the introduction of the baby crocolisks in the patch which brought us the Sunwell which gave me the impetus to level fishing at all. That daily must have been the first one my server was offered because I remember one of our Gnome Warlocks showing up at raid time with the most adorable little croc and thinking I want one of those. Yes, it’s rather sad that the addition of mini pets pushed me into fishing when the pleas, threats and abuse of my old raidleader couldn’t make me although I did farm other stuff including lots of herbs and my own weight in nature resistance pots so it’s not like I didn’t contribute (although in the very unlikely off-chance he’s reading this, sorry). However, despite my dislike of fishing, I have managed to collect quite a few of the fishing related pets. First up was Muckbreath who much to the envy of quite a few guildmates I managed to score with an impressive fishing skill of 10. From there I caught the rest of his crocolisk siblings before moving on to bigger prey. Again, I got lucky with the Crawdad, the pet came from the first Mr Pinchy I fished up. Unfortunately the sewer Rat took quite a bit longer, in the end, he too succumbed to my bait. However, my white whale otherwise known as the sea pony continues to elude me. This is entirely my fault, I manage to fish for roughly ten minutes at a time before getting distracted by PvP or dailies or ironing. That combined with the fact that the Faire is only available one week in every month means I have limited time and worse I’m putting in even less effort to catch it. One day though, one day. Given my love/hate relationship with fishing, it may come as a surprise that I have a MoP fishing wishlist, but I do. First up, fishing boats. Looking back through my post history, I’ve actually been in pursuit of these for a while now but Blizzard still haven’t provided. Azeroth’s waterways are littered with small boats of all kinds which would be perfect to be re-purposed into seafaring mounts. Some could be made through professions, the canoe for example would be perfect as a leatherworking item. Others could be made through engineering (possibly with the chance of being capsized every so often) and perhaps blacksmithing could produce some sort of submarine. There could also be a quest chain for keen fishing enthusiasts to create some sort of ultimate fishing vehicle complete with beer fridge, cushions and an umbrella to protect you from the heat of the sun. New fishing rods would be nice as well. I still use the Kalu’ak one as fortune has never favoured me with the jewelled one but a few new options would spice things up. Perhaps a jade one for MoP or one made from fish bones as recyling is always good. It would of course make you smell like rotten fish but surely that’s going to help you catch a big one. Perhaps using it would have you periodically attacked in deep water by a large and random shark. We have a fishing hat but what about a few more accessories? How about waders or at least a shirt with fish on it. Finally mini-pets. With the addition of pet battles, the world of mini pets is really opening up so there should be lots of opportunity to acquire aquatic critters. As a final final thing, can we please have a fishing trainer who is a reference to Jeremy Wade, I might dislike fishing in WoW but I find River Monsters strangely addictive. I have a love/hate relationship with fishing too. While I love to fly to someplace scenic to fish, I can only stand about 15 minutes of actual fishing. Oh, waders would be perfect! And canoes, and heron thieves! I know a lot of my old guild used to find it therapeutic. After a tough night’s raiding, I’d go and gank people in battlegrounds or pick fights in the world and they’d go fishing. But if Blizzard give me a boat and a pet heron, I’ll make sure I fish a lot. Boats would be a great addition to the world, there are so many times when fishing forces me to use odd camera angles to be in range of the pools—it would be great to be able to come at them from the other side! That’s one of the awesome things about being a Priest, levitate for the hard to reach pools and of course looking cool whilst you’re fishing. Oh, wow, a Fishing Canoe created by Leatherworking is SUCH an AWESOME idea! I would love to make something like that! Ty. I think all professions need to add more mounts/pets and this would be a good place to start. I like the Canoe idea! Despite the fact that I get sea sick if I as much as glance at boats, I really like the idea of hanging out in one in-game. 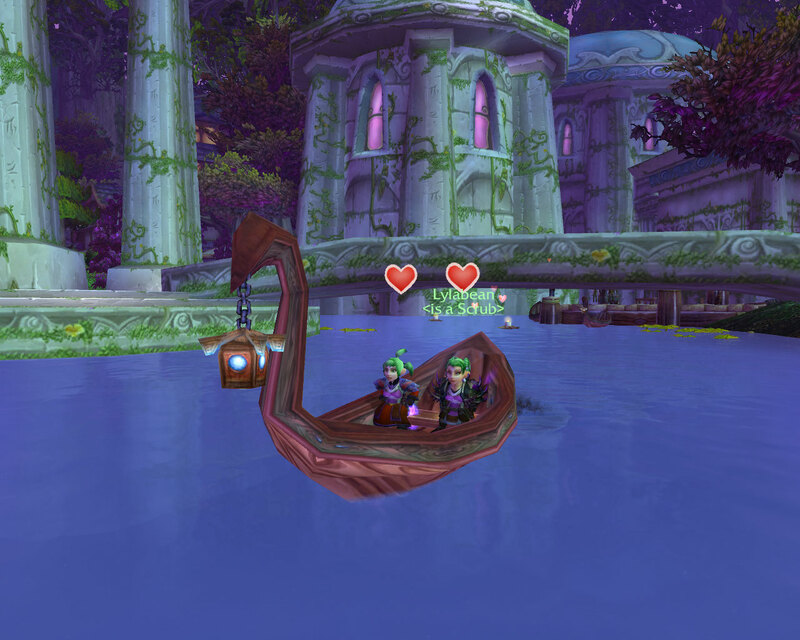 Especially since MoP has so much water, it’s the one thing we really need imo. I hated it in Vanilla in WoW as well, and avoided it….i was jealous that I couldn’t fish up Lurker in SSC though and that sorted started me thinking I should level it a little bit. I wonder if that’s why they added a couple of bosses which needed fishing, to try and push the fishing haters into wanting to fish. I have to admit, I’m not a 100 percent convinced I want a boat purely to fish off. I may use it for fishing some of the time but mostly I’m sure it would be for floating around taking screenshots.